Being a caregiver can be a difficult task, and family caregivers are at risk of experiencing burnout. A senior’s cognitive and physical abilities along with personality are some of the factors that may make the rewarding task stressful. However, there are several ways caregivers can protect themselves from experiencing burnout. Local hospitals and online websites offer an abundance of information concerning caregiving. Learn the basics and gain a better understanding of your loved one’s particular medical conditions and health needs. Find out what resources you may have at your disposal in terms of meal providers or transportation. If you are the primary family caregiver for a senior loved one living in Huntsville, 24-hour care is available if your loved one’s health has become too difficult to manage without professional expertise. At Home Care Assistance, we take measures to help seniors prevent illness and injury by assisting with exercise and mobility, preparing nutritious meals, helping with bathing and other personal hygiene tasks, and much more. Each day, plan on spending time by yourself without distractions, which might include taking a 30-minute walk or spending an hour reading a book. Consider taking up a hobby or signing up for a class. Free time enables caregivers to relax and regroup while escaping from the stress of daily challenges. Nutrient-rich foods provide the body with the fuel it needs to function. A healthy diet also protects the body from stress. Consider maintaining your physical strength by getting a sufficient amount of exercise each week. At the end of the day, get a good night’s rest so your mind and body can relax and repair. Schedules save time and enable caregivers and their loved ones to know what to expect each day. For someone with dementia, routines prevent confusion and irritable behaviors. Schedules may include meal times, recreation, quiet moments, and more. A caregiver who tries to handle all his or her responsibilities without help may soon become overwhelmed. Ask family and friends to help whenever possible. Plan who might take your place in the event of an illness, emergency, or the need for time off. Get help with housekeeping, meal preparation, or transportation needs. Support groups offer caregivers several benefits. You can share your concerns and frustrations with people who understand the challenges you face. Experienced members also offer a wealth of information about caregiving and various medical conditions. In the event you are faced with a sudden illness or emergency and cannot find a replacement, respite care can be a vital resource. Taking advantage of respite care is a great way to relax and focus on yourself. There are a variety of reasons family caregivers should consider respite care. Huntsville, AL, families often have additional responsibilities that make it more challenging to provide the care their senior loved ones need and deserve. A professional respite caregiver can take over your important caregiving duties, allowing you more time to focus on yourself. When surveyed, more than 75 percent of caregivers expressed feeling pride that they were able to care for a loved one. Regardless of the challenges along the way, cherish the special moments you have with your loved one. 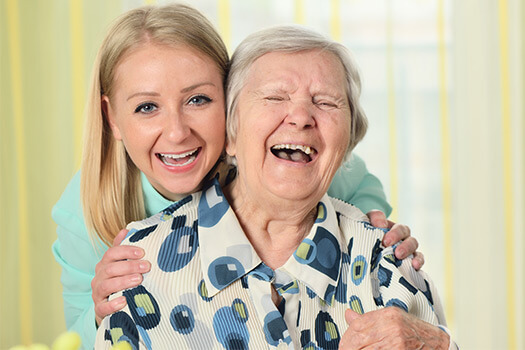 If you are the primary family caregiver for an elderly loved one and need additional assistance providing high-quality home care, Huntsville Home Care Assistance can help. We are a leading home care agency committed to changing the way seniors age. To learn about our comprehensive, high-quality elderly care plans, give us a call at (256) 716-9940 today.